This tutorial contains a lot of screenshots. Hopefully this helps developers that are not familiar with eclipse (like myself) to follow this guide. Please run all commands as your user. It is not recommended to use root user. 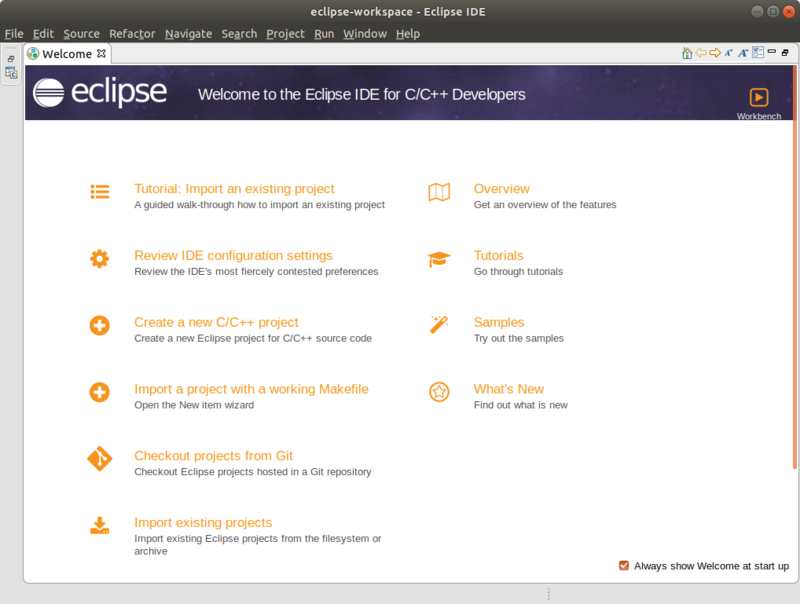 Download the latest version of Eclipse IDE for C/C++ Developers using your favorite web browser. Use the default path as Workspace and continue. If you see the welcome message just minimize Eclipse for now. 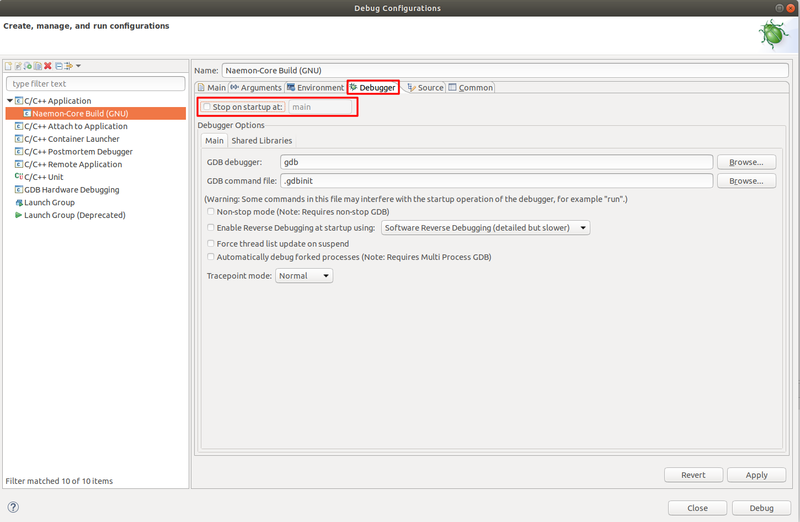 To run Naemon a few configuration files are required like naemon.cfg and a host and service definition. I'm used to use the default configuration examples that are shipped with Naemon. 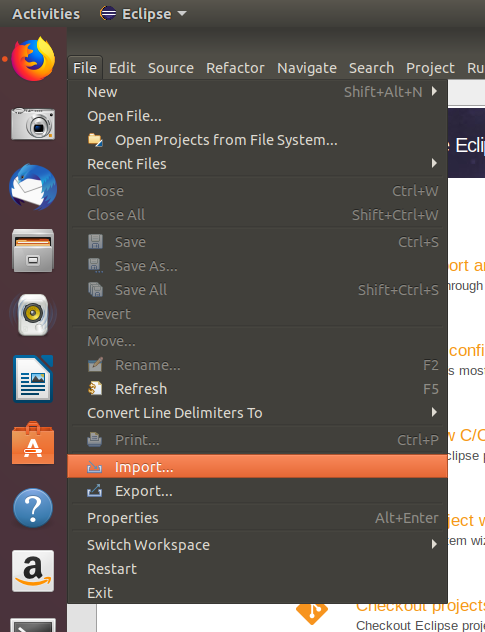 Switch back to Eclipse IDE. First of all, close the welcome message. 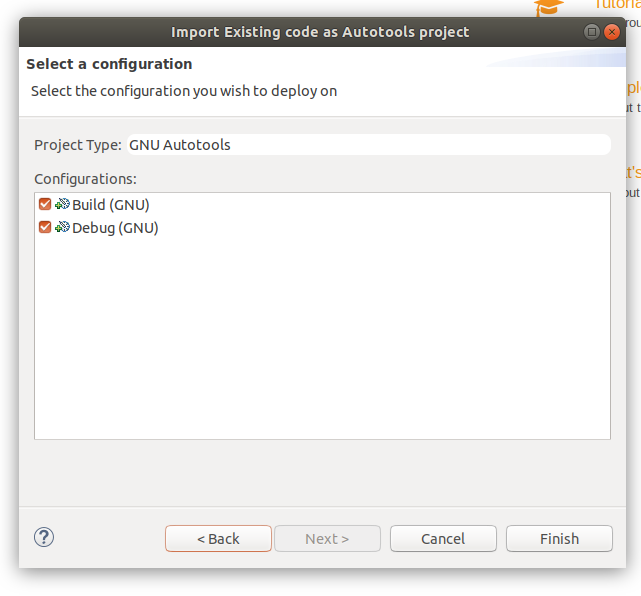 Select C/C++ Existing code as Autotools project and continue. 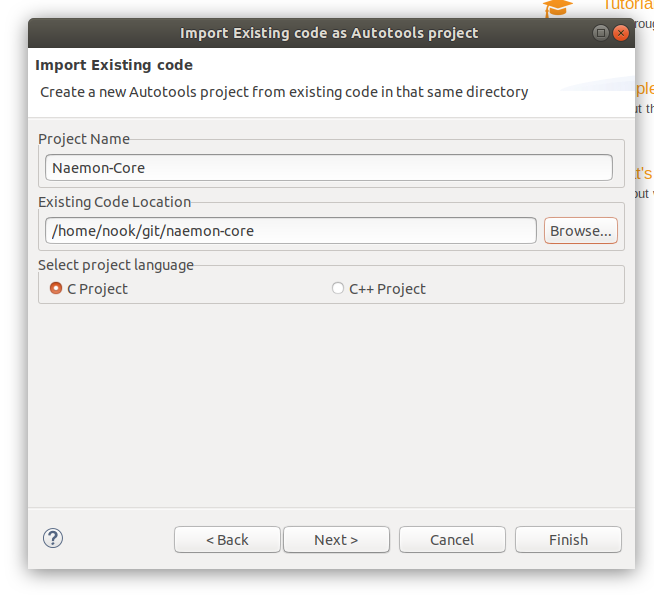 Set the path where the Naemon source code is located (~/git/naemon-core) and continue. 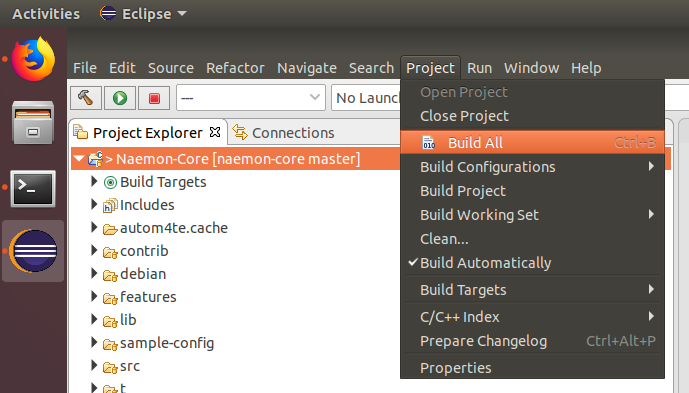 Now its time to enable Eclipse to compile and run Naemon. 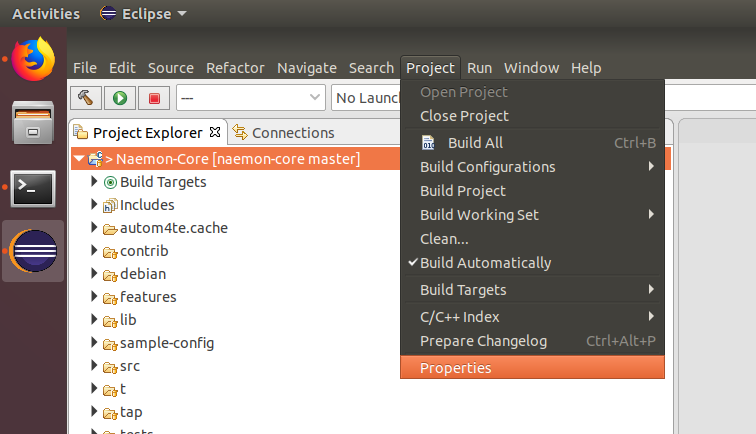 Set the --prefix option to the path, where your naemon configuration is stored: /home/$USERNAME$/naemon-dev. Replace $USERNAME$ with your user name. Check that the build was successful. 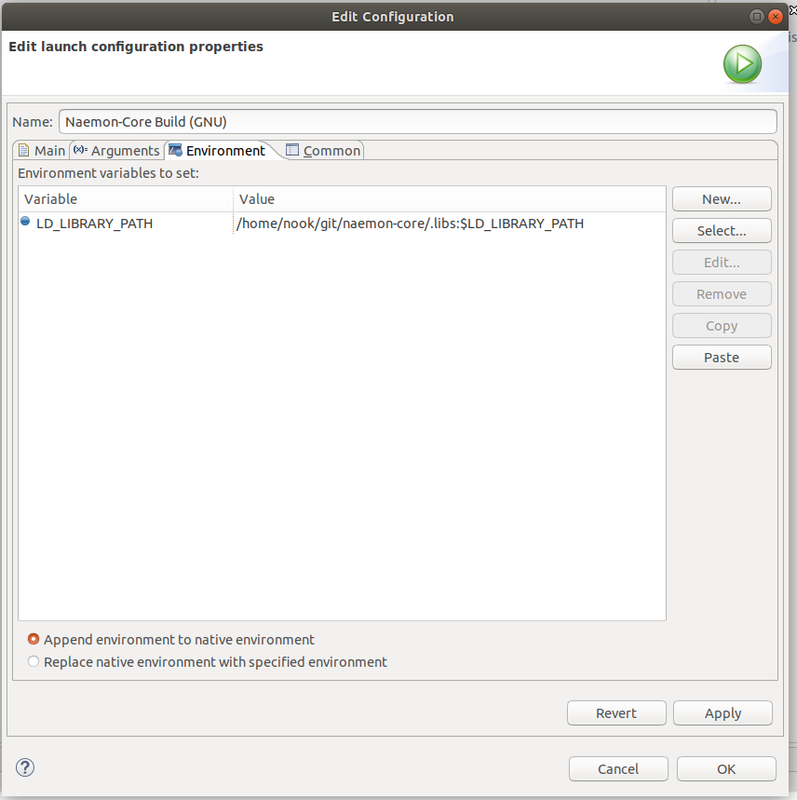 After Naemon was built successfully through the IDE you can set up the "Run environment" for Naemon. 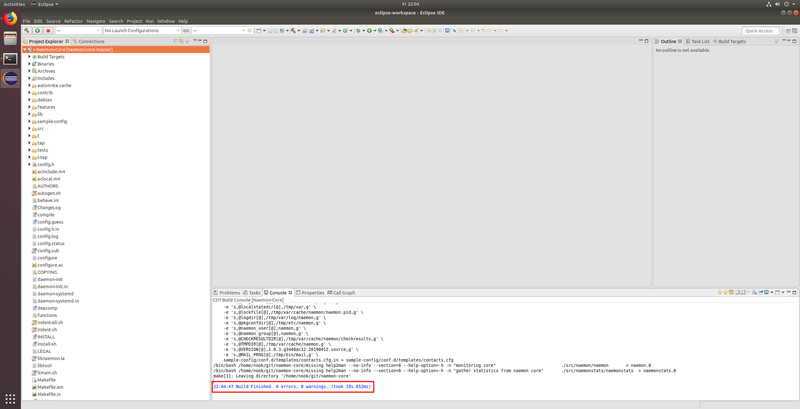 This allows you to run Naemon Core inside the IDE. 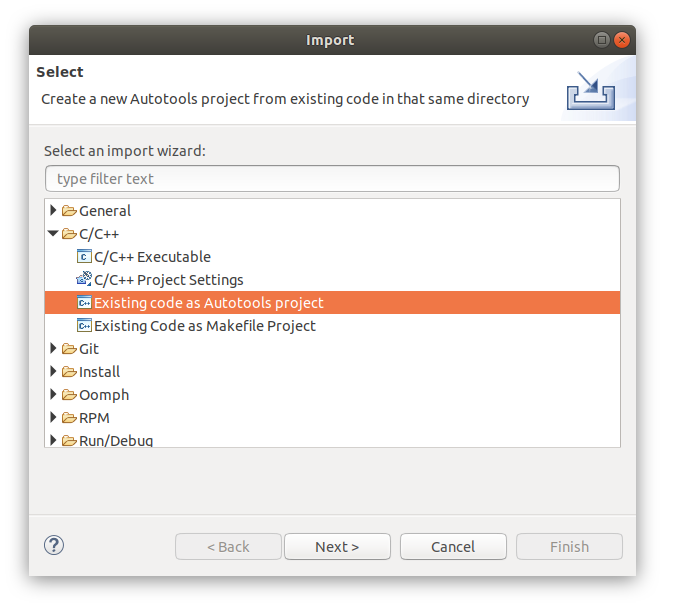 Navigate to Project Properties Run/Debug Settings New C/C++ Application and click on Search Project and select the naemon binary. 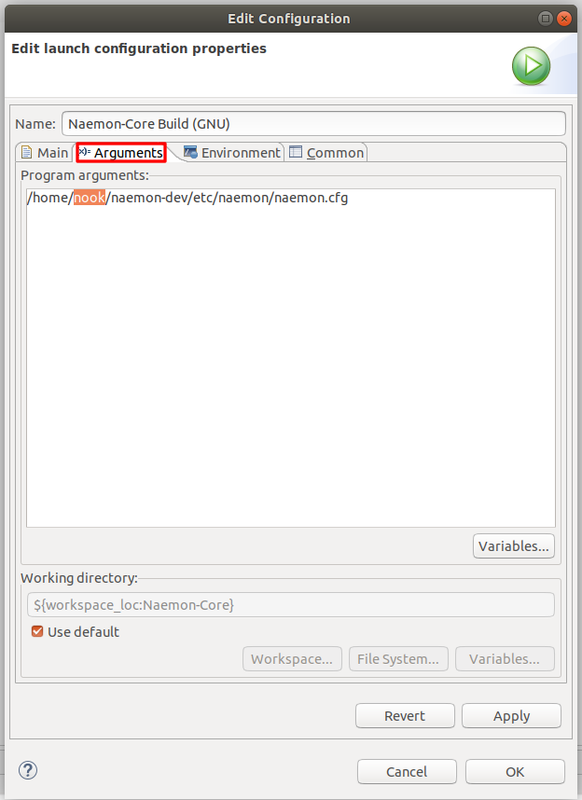 Switch to the Arguments Tab and set /home/$USERNAME$/naemon-dev/etc/naemon/naemon.cfg as argument. Press Apply and close the window. Press Stop to kill the Naemon process. 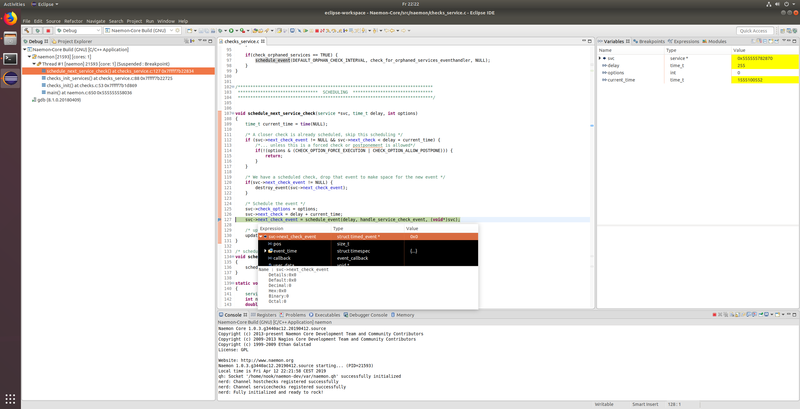 Now you are able to configure, compile and run Naemon inside the IDE. 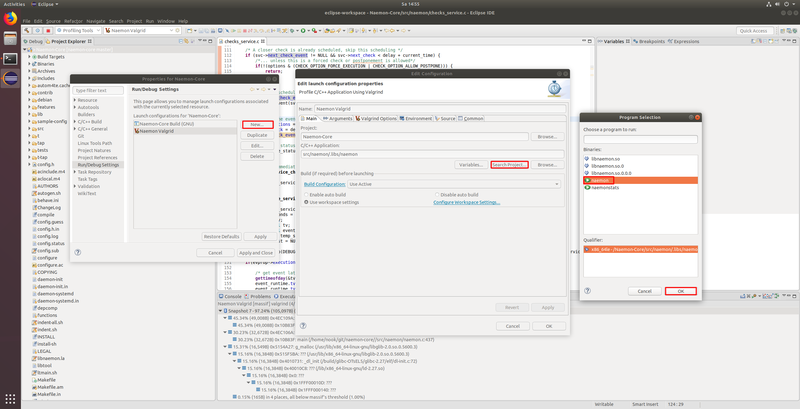 In the last step you need to configure the IDE to be able to attach a Debugger. 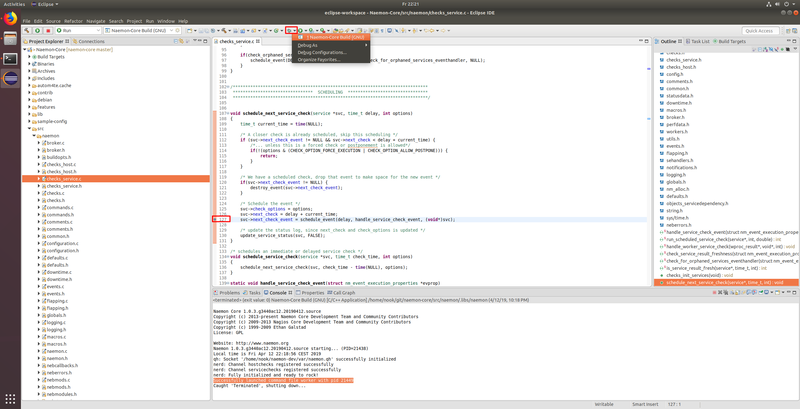 Select C/C++ Application Naemon-Core Build Debugger Tab Disable Stop on startup at: main Apply and close the window. Open a C-File, for Example src/naemon/checks_service.c and add a Breakpoint by double clicking on a line number (line 127 in my case). 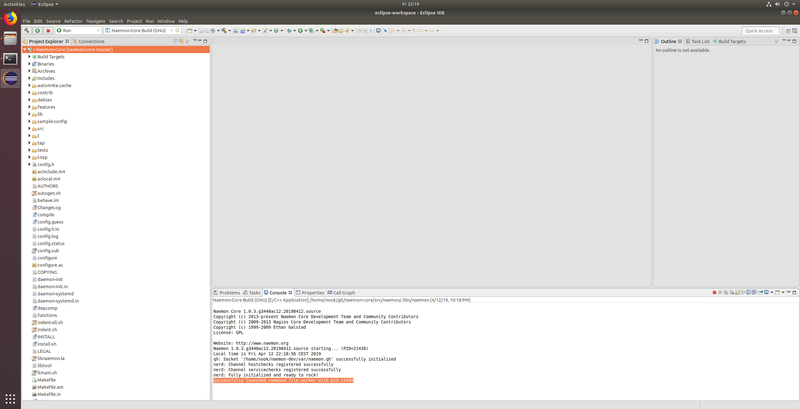 Than start Naemon with the Debugger. 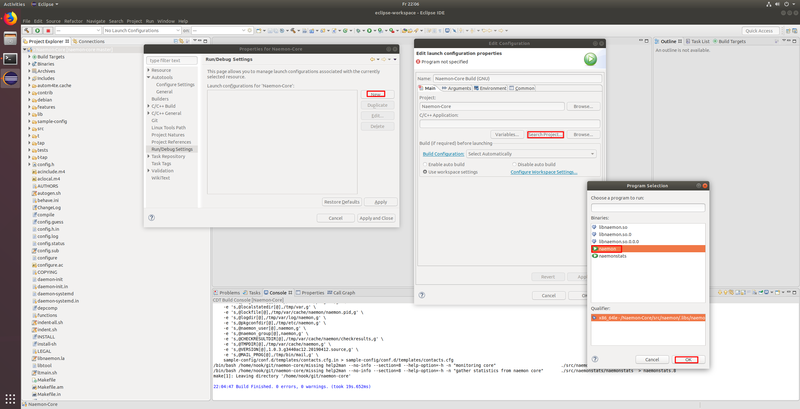 If Eclipse ask you if you want to switch into the Debug perspective select switch. As soon as the code reaches your Breakpoint you can debug as you are used to. 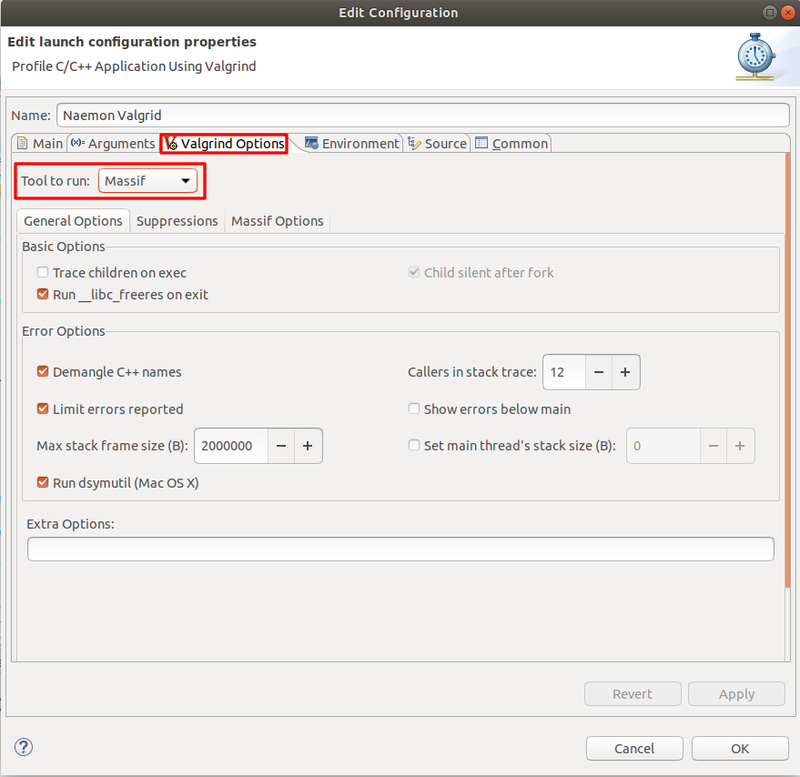 Valgrind is a powerful profiling tool which can also be integrated to Eclipse. It can be used to find memory leaks. 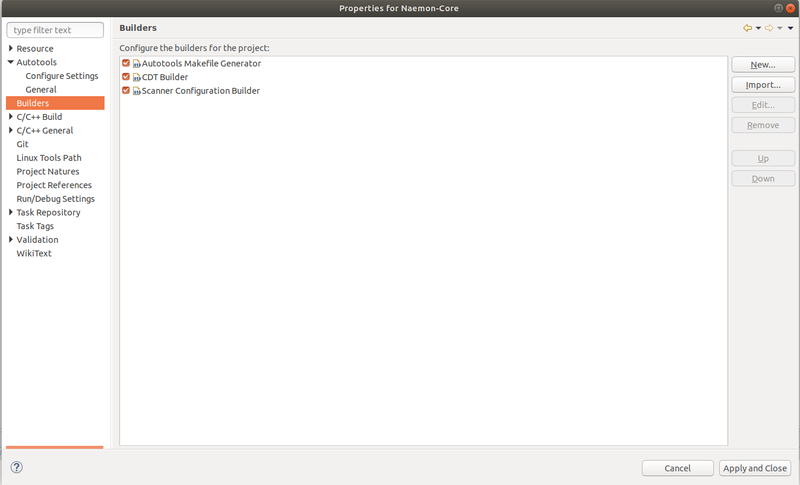 Navigate to Project Properties Run/Debug Settings New Profile With Valgrind and click on Search Project and select the naemon binary. Switch to the Valgrind Options Tab. 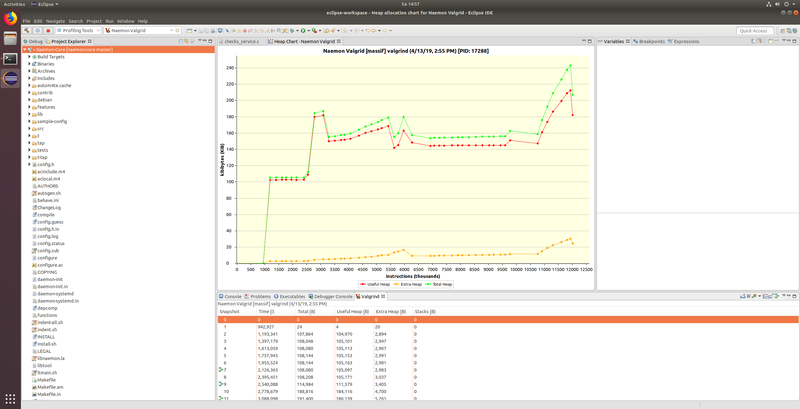 Valgrind provides different profiling tools. I chosed Massif in my case. Let Naemon run in profiling mode for a few minutes. As soon as you stop Naemon you will get a heap allocation chart.